Our 23-year-old air conditioning system has been good to us over the years, but it’s time for a replacement and stat! 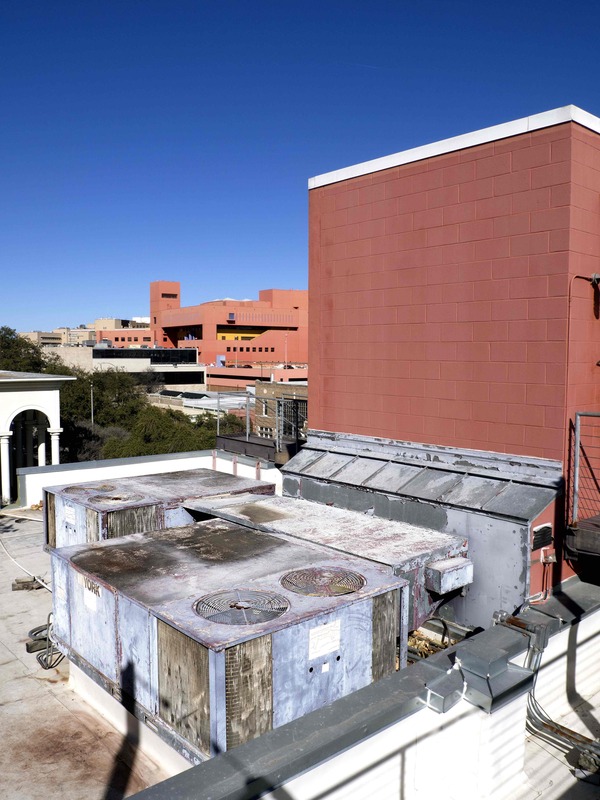 The current frequently shuts down, leaving parts of our building vulnerable to the extreme Texas elements and causing problems for our resident artists, staff and visitors. We’ve recently launched a fundraising campaign and invite you to participate in keeping Artpace cool. In return for every donation, Artpace will offer a one-of-a-kind behind the scenes experience, invitations to exclusive events, and limited edition artist prints! Follow this LINK to learn more, and make sure to check back in with us every day this week as we share more details about this fundraising campaign on our blog. See you soon and we thank you for your support!